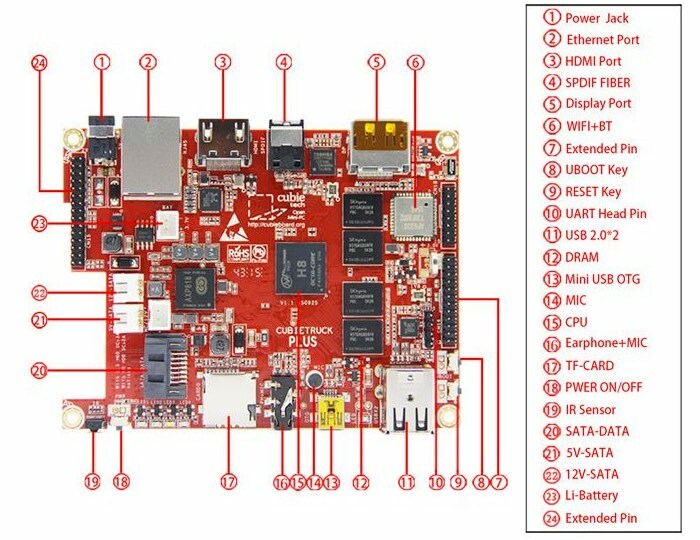 ubieTech has this week added a new developer board and single board PC to its range with the launch of the new Cubieboard 5 system which is priced at $99 and comes equipped with a oct-core processor. The Allwinner H8 octa-core ARM Cortex-A7 processor of the Cubieboard 5 is supported by PowerVR SGX 544 graphics and 2GB of RAM and also has a connection for an optional lithium battery if your project requires it. Based on CB3, CB5 which adopts a Octa core CPU, has been not only improved performance but also increased a lot of unique functions. We worked on this product about one year, wish to build the next CubieBoard star product. We paid more attention to quality controlling ,and also organized large-scale trial sale activity in China before Chinese New Year. Finally, CB5 has been got user’s consistent high praise for it’s ‘High performance’,‘Playability’ and ‘Zero rework’. Now, CubieTech announced: CB5 released for CubieBoard fans all over world, Everyone can buy it from the most convenient channel. Like the CB3’s design idea of high specifications, stable performance、and rich interfaces, Cubietruck Plus retains all the highlights. We also considered the performance equilibrium、heat controlling and chip price, Finally, we chose the Allwinner’s Octa-Core H8 (Octa-Core Cortex-A7 CPU, up to 2.0GHz，PowerVR SGX544 GPU, up to 700MHz ) as the hardware platform. Both CPU comprehensive performance, and the image processing performance of GPU, compared with the previous CB3, all have been increased by four times. For more information on the new Cubieboard 5 jump over to the official Cubieboard website for details via the link below. Raspberry Pi enthusiasts may also be interested in our essential guide to Raspberry Pi displays and HATS.